If you’re coming to Barcelona and fancy yourself as the next Lewis Hamilton then accelerate towards Gene Karting’s amazing indoor circuit to prove your racing credentials. Their track is one of the most advanced installations in Europe and supports every level of EU safety measures, with a 7m wide track and elastic barriers capable of absorbing the tastiest of crashes. The karts themselves are the latest models on the market, with 270cc Honda engines, whilst a less powerful kart for kids is also available (child should be a min. of 1.3m tall). You can either turn up and race with the public or better yet you can reserve the whole track for yourselves (min. of 10 people) – the latter option is perfect for stag parties, corporate events, birthdays and team building exercises. 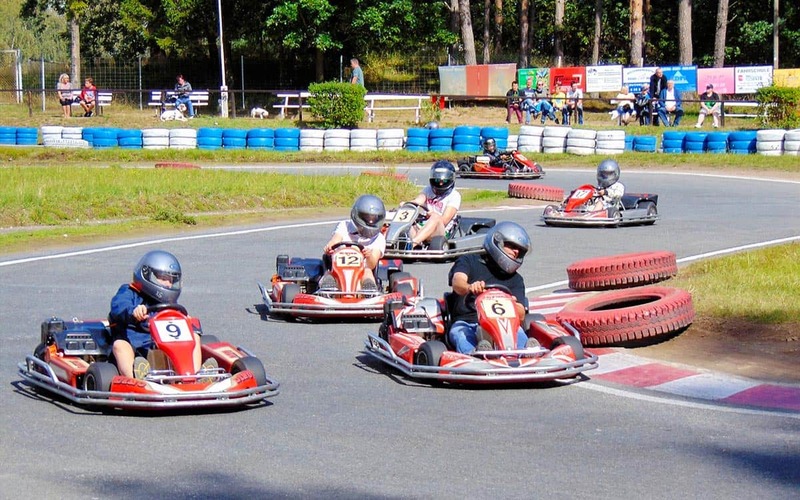 You can arrive at Gene Karting via car or by public transport (bus or train) or private transport: it’s situated in the town of Viladecans, about 15km away from Barcelona. If you are a group and need help organising go-karting in Barcelona together with transport to the venue, please contact us on info@barcelona-life.com to help arrange. We work with a few different tracks and have great prices for groups.